Please call 714-729-3407 if you have questions regarding registering. Payment through Venmo or Paypal is accepted as well. Reiki is a wonderful introduction or addition to the world of complimentary wellness for oneself and others. Advocates of Reiki often refer to this complimentary therapy due to it’s ability to promote relaxation, balance energy levels, and speed up the natural healing process within our bodies. Practitioners of Reiki often comment that this modality helps one connect and expand their intuitive nature. 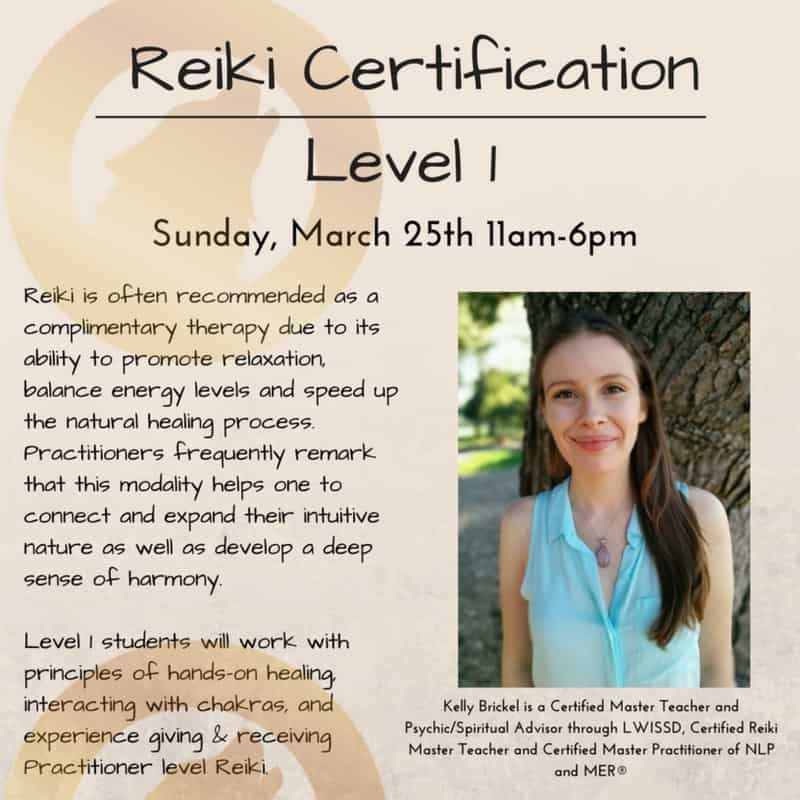 Level one attendees will discover fundamentals in metaphysics pertaining to Reiki including: intention, focus, hands-on/hands-off energetic healing, learning how to interact and work with chakras and auric fields, and become comfortable with giving and receiving Practitioner level Reiki. Participants will be guided in channeling Reiki and begin their own journey with this energy healing modality. Meter/Street Parking free on Sunday.